While we’re waiting on the “good photos” from Garrick, enjoy these two less good photos I snapped of some our members’ handiwork. As always, we had quite the turnout for this event, with several members bringing friends and family to play along. A special thanks to Sarah and Jeff for helping make it go off without a hitch, particularly in the processing and emergency procurement of our frosting supply. 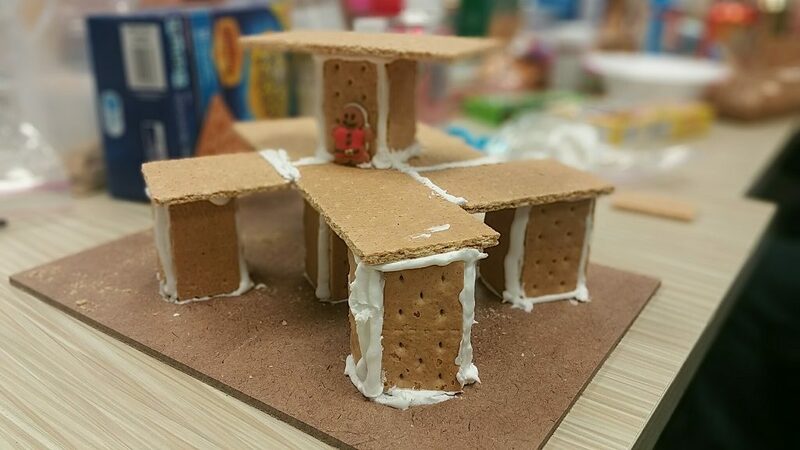 Hey gang, it’s time again for OMG’s annual Gingerbread House event. 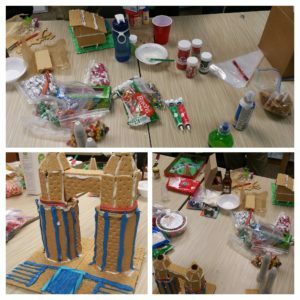 Note that this event has no actual gingerbread (we use graham crackers) and few, if any, “houses” in the traditional sense. In the past, we’ve seen locomotives, hobbit holes and skyscrapers. This years’s event coincides with the regular meeting on December 19th. As usual, doors open around 5:30pm and people are usually around until 9 or 10pm. The start time is nominally 6pm, but realistically people will arrive and work on their construction whenever on that evening. 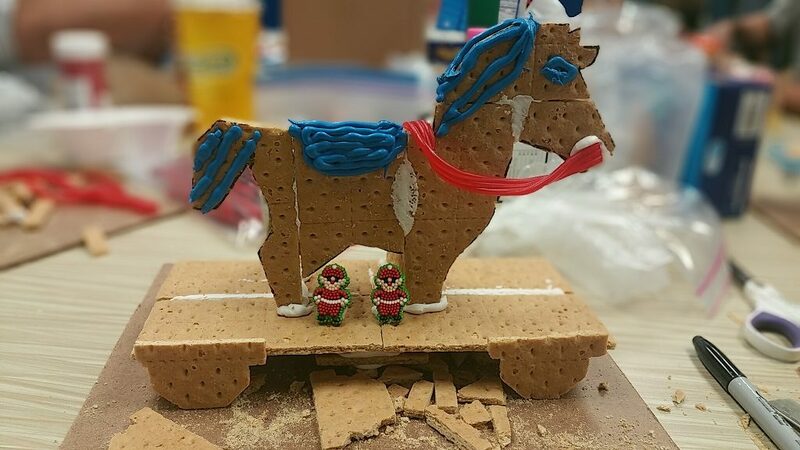 Frosting “mortar” and whatever decorations leftover from last year will be provided, but please consider bringing a box of crackers and some things to decorate with. This is traditionally an “open house” sort of event, with folks bringing friends and family. The holidays are for group gatherings, after all.